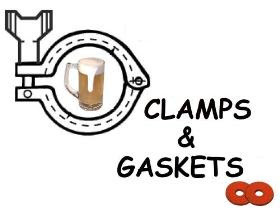 Clamps & Gaskets: News Roundup for Weeks 1/2, 2013. Homebrew inflation! A bottle of White House Honey Ale fetches $1,200 at a charity auction. Via Time Magazine. The black market for 'craft' beer. Via Christian DeBenedetti on Slate. A new beer flavor wheel, with flavor descriptors rather than chemical compounds. Via Mark Dredge. 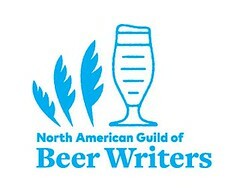 "Beer Hunter: The Movie" on the career of seminal beer writer Michael Jackson, advance screening announced for 27 March 2013 in Washington, D.C. Via YFGF. Lunch with Mike McCarthy, past executive brewer at Washington, D.C.'s Capitol City Brewing Company. Lots of great stuff on & off record. Via YFGF. 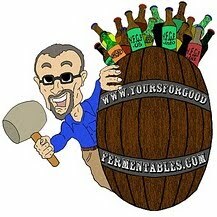 A small movement within craft beer towards session beer. Via Greg Kitsock of Washington Post. In an ever retrenching beer wholesaler environment, DOPS —long-time beer/wine distributor in Maryland and Washington, D.C.— sells the 'rights' to 7 'craft' beer brands. Via Brewbound. Towards an East Coast style of IPA? Jonathan Reeves brewer at Port City Brewing, of Alexandria, Virginia, opines. "Tennessee Waltz" singer Patti Page dies at age 85. Via AP. Building a quantum computer, which would rely on the quantum properties of particles to run certain types of calculations blazingly fast. Via Science News. The ten biggest Napa-centric wine business stories of 2012. Via Napa Valley Register.